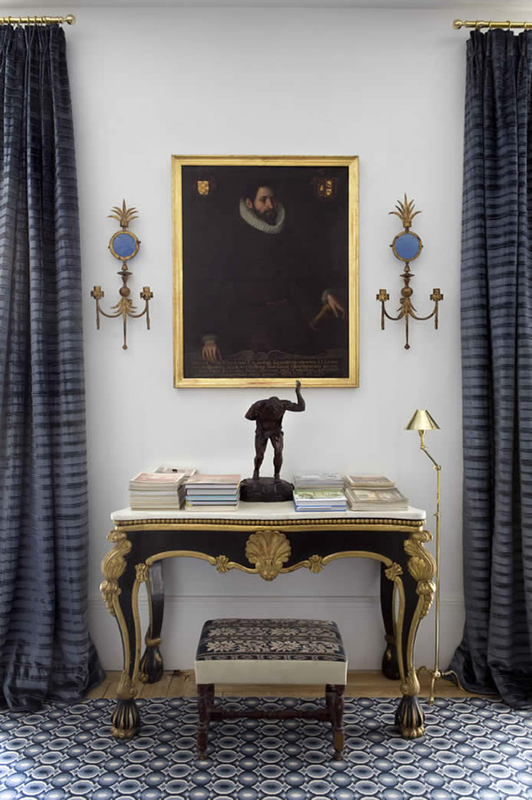 This beautiful apartment in Madrid designed by Lorenzo Castillo is a jewel. This dining room set-up stole my heart. I have always been a big fan of dinner parties. I love giving them and going to them. Nothing beats an evening with friends over delicious food, good wine and even better conversation. I also love when people with large spaces opt for having two dining tables- it just breaks up the room so nicely. Add to this shiny chandeliers, beautiful mirrored walls, brass tables, and a banquette and you have yourself a glamorous space that is probably the envy of many. 1 || Perfection is overrated. There is so much symmetry and balance here, but the little brass lamp breaks it up and adds character. 3 || Your eye needs a resting place. Key the white upholstered furniture. This is a busy room but it is balanced out by the white-upholstered sofas and arm chair. Everything is deliberate and has a reason for being. Again Lorenzo plays with creating an imperfect space with the chaise and accent chair positioned at an angle. And again he adds richness by having many levels for the eye to explore and again hanging art on top of art. 4 || Every library needs sconces. I strongly believe in this. (Remember this post?) And these in particular are to die for. I wish I could get a better view of them. 5|| Coziness is key. Space is limited here. There is not much space between the chairs and coffee tables, or between the books and chairs- giving the library a cozy feel that nurtures conversation and socialization. Also, the dark and moody bookcases help the cause. 6 || Horns can be glam too. 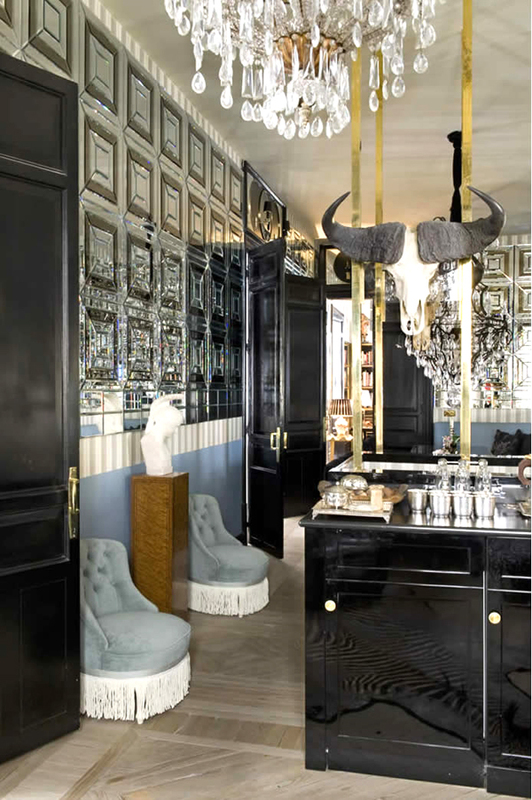 Wao, love the horns against a mirrored wall decorating what seems to be a bar at the end of the dining room. When can I move in? Which was your favorite shot? 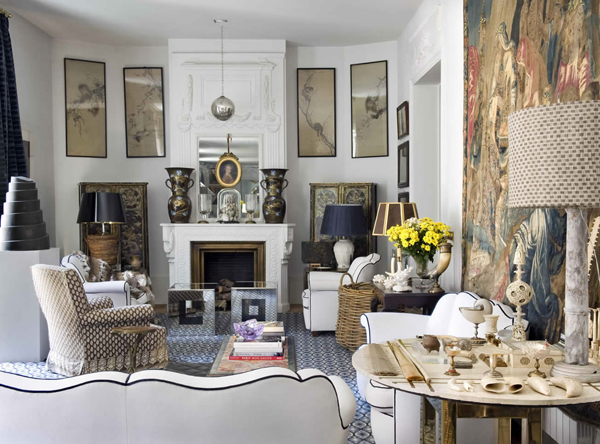 such a glamorous space indeed! love the white upholstered chairs with black piping! Hey girl-I saw your malachite boxes on LGN today! They were looking pretty darn good! This might just be the most opulent and glamorous home I have ever seen! 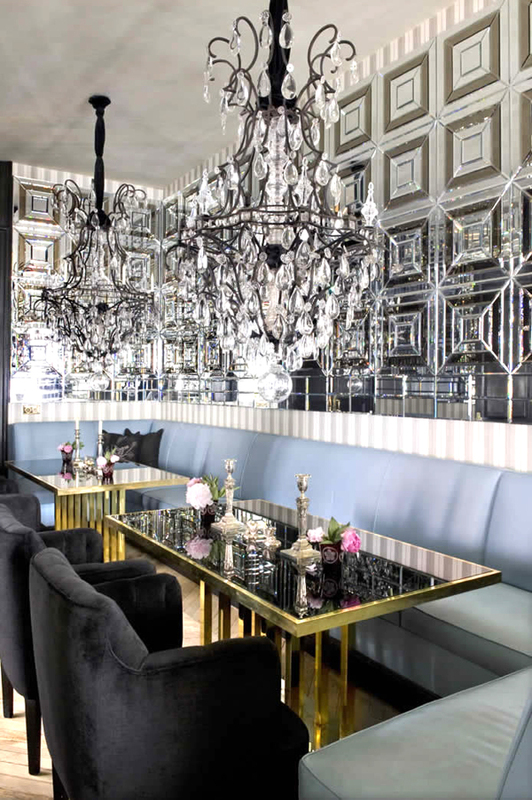 I love the mirrored surfaces and the chandeliers are fabulous! can i please move in? pleaseeeeeee!!! SO beautiful. My only question is...when can I move in? oh my! that dining room, amazing! Absolutely gorgeous. Second shot, without a doubt was my fave. The mirror backdrop reminds me of a hotel bar The Mister and I frequent so I think I have an emotional connection to that room. Just stunning with all that brass as well. So impressive! I wish this was a hotel, I'm going to be in Madrid this summer and haven't yet made my accommodations! Glam is good! 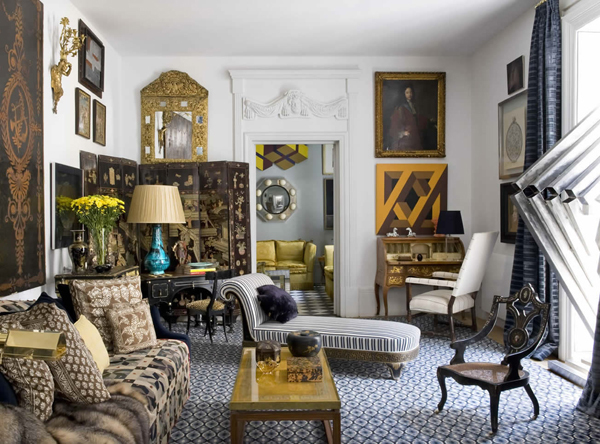 Love the white upholstered pieces mixed in with all that crazy black and gold and pattern! Wow. wow - gorgeous! that dining room is ridiculous in the best way possible. love all the mirrors and sparkles going on. Whoa! So glamourous. I could have sworn those first two pictures were of some fabulous hotel!!!!! I am bananas over everything! That is a dining room?! I thought it was a restaurant. A very sophisticated restaurant. Wow. Those tables are amazing. I thought it was a restaurant at first as well!! 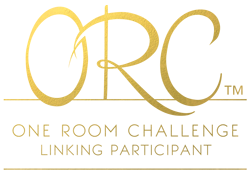 I'm amazed by the dining room - it's so glam!! That apartment is too much to even describe. I looooooooove maximalistic over-the-top glamour. Built in banquets are the best. SO glam! Love the dining area and the last photo! Simply spectacular! I can't believe that is the dining room! I want to be invited for dinner! 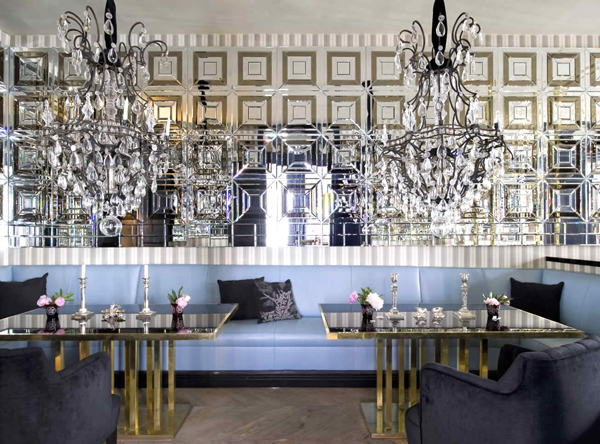 Love all those mirrors and the two tables in the dining room are absolutely gorgeous!